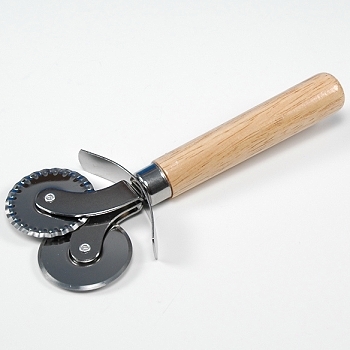 Pastry Wheel with Cutter is used to cut pie dough and pastry dough's. This unique double-sided bakery tool, allows you to either cut with a fluted edge or cut with a straight edge. Made of Stainless steel blades with wooden handle. Dimensions: 6" x 2 1/2"